Dr. Grace Montero was born and raised in Orange County, California. She received her bachelor's degree in Health Science in 1984 from La Sierra University in Riverside. In 1988, she received a Doctor of Dental Surgery (DDS) degree from the University of California at Los Angeles. She worked in Riverside, CA for one year as an associate dentist before moving to Santa Cruz County and purchasing her Felton Practice. She has been practicing with Dr. Blenderman at this location since 1989. She is truly a family practitioner and enjoys all aspects of dentistry, from a young child's first dental visit to meeting the needs of our senior citizens. 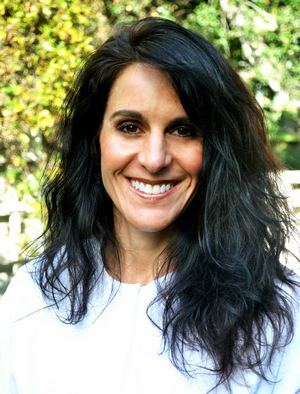 She continues her dental education yearly and remains abreast of new developments in her field by taking various courses, some mandated by law, but mostly on topics of interest, such as the latest in dental implant technologies. She is certified for use of the diode laser by the International Center for Laser Education. She is a clinical instructor at Carrington College of Dental Hygiene. She has two children and enjoys dancing, cycling, skiing and reading when away from her office. 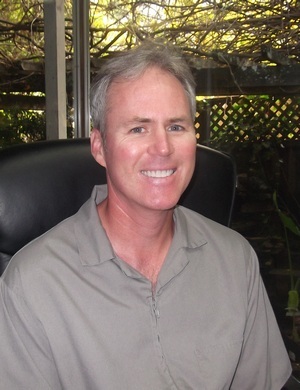 Rod Blenderman, DDS was born in Omaha, Nebraska and grew up in the suburbs of Orange County, California. He received a Bachelors degree from the University of California at Irvine in 1983. He also earned a Doctor of Dental Surgery degree from the University of California at Los Angeles in 1988. He worked for a large HMO as a staff dentist the year after receiving his license to practice dentistry before moving to Santa Cruz County. With Dr. Montero, they purchased their dental practice from Dr. Bill Weiss in September of 1989, right before the Loma Prieta earthquake and in 1997 took over the clients of Dr. Richard Smith. Although Dr. Blenderman enjoys all aspects of dentistry, he concentrates most of his continuing education in Orthodontics and Endodontics. In 1995 he was certified as a lifetime member of the United States Dental Institute for Orthodontics. He is also soft tissue laser certified. He enjoys the same two adult children as does his wife of 30 years, Dr. Montero. He is not much of a skier anymore, but he does enjoy golf, reading, home and dental office remodeling, cycling, gym workouts and whatever sports his children currently play. He is responsible for the office's participation in California's Litter Abatement Program by volunteering to pick up trash along Highway 9. 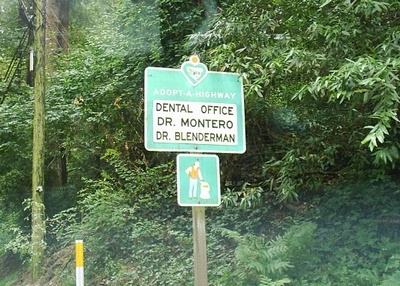 Occasionally, Dr. Blenderman can be spotted keeping Highway 9 litter free.